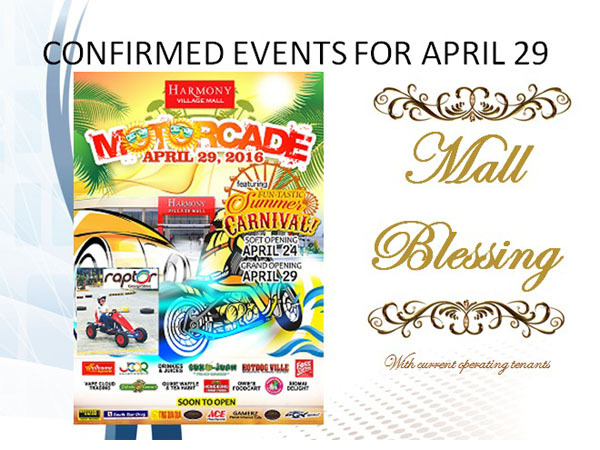 As part of its Grand Opening, Harmony Village invites you to its Motorcade and Mall Blessing on April 29, 8:00 am. Shop, dine, relax and enjoy at your new community mall! Harmony Village is located at Olympia St, Brgy. San Vicente, San Pedro, Laguna.